Shades of Night marks Jake Wood Evans’ reengagement with drawing in a brand new collection of works on paper alongside new oils. The fine artist’s distinctive use of chiaroscuro highlight his ability to create a stunny dynamism between a world of mystery and subtle light, whereby his subjects appear to gently emerge out of the seemingly encompassing darkness to reveal an illuminated world. Using a mix of materials as diverse as the subjects depicted, Evans gives an ‘ethereal, intangible quality to each piece.’ As the artist’s first solo exhibition held at the Lawrence Alkin Gallery, his newest body of work stands as a formidable presentation of his ever admirable talent in merging modern musings with the qualities and aura of the Old Masters. 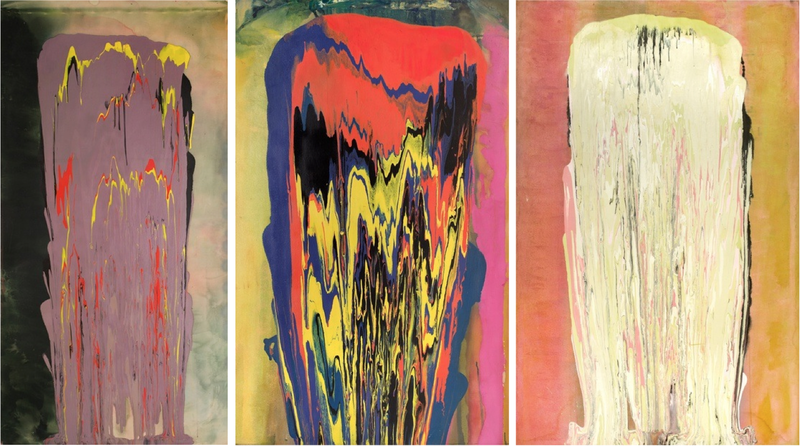 As a nod to the life, career and artistry of dynamic painter Frank Bowling, Hales presents the fourth solo show within the gallery – The Poured Paintings. Having began his career firmly in the field of figurativism, Bowling evolved to British Pop and eventually to abstraction where is work is most significantly recognised and celebrated. The artists’s method of titling the canvas in order to pour over the paint led to the conception of unpremeditated concepts infused with layers of colour that evaded all conventional intervention of definition. Where as his earlier works leaned towards a stringent of structure and geometry, The Poured Paintings became governed equally by mathematics and symmetry as they were by the celebration of colour and the malleability of paint as a medium. To celebrate the launch of their newest space in Soho, London’s Mecca for entertainment and culture, the directors of Unit London present an alluring new body of work – RAW. Chinese contemporary artist, Zhuang Hong Yi truly encompasses the concept of diversity where an Eastern artistry meets a Western aesthetic. With a celebrated career spanning nearly three decades, Zhuang Hong Yi’s magnificent impasto-pieces command the attention of an entire room, claiming well deserved recognition for their unyielding presence. 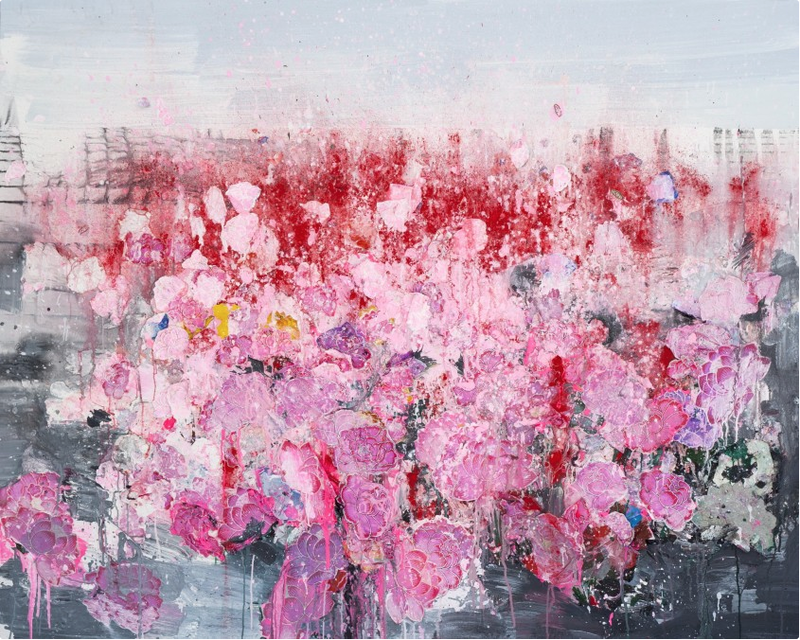 His practice involves the manipulation of thousands of rice paper flowers which he combines with layers of oil and acrylic to create large scale fields of petals on canvas – rich in colour, form and texture. He is well known for his skilled craftsmanship and ability to master different materials and this show will be a testament to that, showcasing everything from marble and steel to tea and glass. 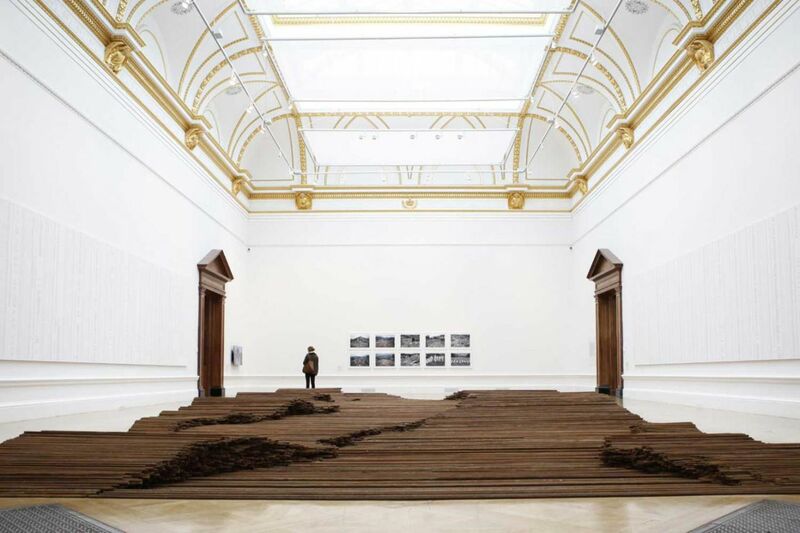 Ai Weiwei returns to London to present some of his most important works; from the time he returned to China from the US in 1993 right up to present day. Among new works created specifically for the RA galleries and courtyard, will be a number of large-scale installations. The RA’s most recent single artist shows have seen some of the true greats of contemporary art with unforgettable, powerful work. From Hockney to Kapoor and Kiefer – who better than to follow this autumn than Ai Weiwei, one of China’s most influential artists. Curated in collaboration with Ai Weiwei from his studio in Beijing, the RA will play home to the artist’s typical boldness, with chosen works exploring a multitude of challenging themes, drawing on his own experience to comment on creative freedom, censorship and human rights, as well as examining contemporary Chinese art and society. 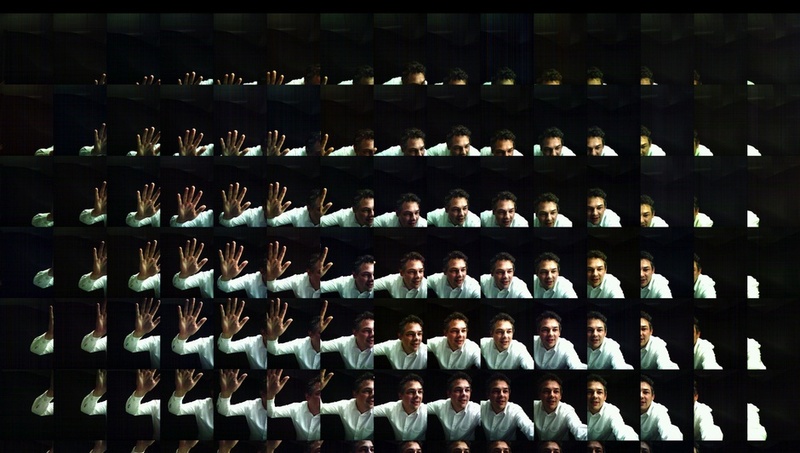 Dominic Harris explores human perceptions and expressions of the self through the artist’s signature use of advanced digital technology. The interactive nature of his practice engages the viewer directly, who in turn becomes an active participant in the artwork and who through various visual, sonic and compositional devices is materialised within the work. ‘Moments of Reflection’ is the first solo show of international artist and designer Dominic Harris. In partnership with the London Design Festival and Icon Design Trail, the curated exhibition will showcase new digital interactive artworks by the artist as well as an updated version of the impressive seminal work Ice Angel displayed at the Victoria and Albert Museum in 2012, which now includes interactively driven sound, re-enacts the youthful playfulness of creating snow angels through digital manipulations; the viewer therefore assumes the role of both the performer and the portrait subject. The viewer stands in front of Ice Angel looking out towards an audience; every arm movement creates angel wings dynamically lit on the screen behind. Posted in art and tagged ai weiwei, art, art exhibitions, art review, contemporary art, dominic harris, frank bowling, galleries, hales gallery, impasto, installation art, jake wood evans, lawrence alkin gallery, london, london art exhibitions, london events, mixed media, paintings, the poured paintings, the unit london. Bookmark the permalink.